The world of yoga is diverse and multifaceted. While most people have probably heard of yoga, many people are somewhat mystified about what it is all about. A common perception is that yoga is a series of physical exercises based on some traditional Asian system. While yoga does indeed embrace a highly refined system of physical postures, it is much more than physical exercise. The clearest indication of the meaning of yoga is contained in its etymological derivation. The word yoga is derived from the Sanskrit root yuj, which literally means "to yoke" (this Sanskrit word is the basis for the words yoke and union in modern English). Yoga is often described as meaning "union"—a union of the mind and body, and beyond that, of the mind, body, and spirit; union of the individual with all of creation; union of the individual with the life force itself; and unity with the divinity immanent in all of creation. 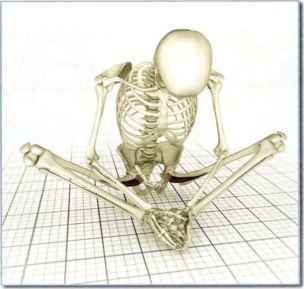 Yoga originated in India as one of the six classical schools of Hindu philosophy. It is a rich system of practices that aims to help the individual achieve union with the ultimate source of being. Yoga has been described as a therapy, an art, a science, a philosophy, and a discipline. The aim of yoga is no less daunting than to help us discover, through a rich variety of techniques and practices, who we truly are. Physical exercise can be an important tool on our path of self-discovery, for as yoga instructs us, in order for us to find true balance and understanding, it is necessary for us to be as at peace and at home in our bodies as possible.